Barbican residents should perhaps be well aware of the nearby historical and architectural gem which is the Charterhouse. It is now entering a new era with the appointment of its first female ‘Master’ and has begun to admit women to the residential almshouse for the first time. The Charterhouse is steeped in history and many of the people associated with it jump out of the pages of school history books. It was originally built as a chapel and hermitage next to a Black Death plague pit in the mid 14th Century, but in 1371 it was granted as the basis for a Carthusian monastery, which gave it its name. It grew and continued as such until it fell foul of King Henry VIII’s demands and was closed in 1537, with the Prior and most of the monks coming to extremely unpleasant ends. It was then largely demolished and rebuilt as a grand mansion by Sir Edward North (later Lord North) and was extensively renovated by subsequent owner Thomas Howard, Duke of Norfolk. Indeed it was such a grand house that Queen Elizabeth I spent the week before her Coronation there in 1558, and James I also used it ahead of his Coronation in 1603. In 1611 the mansion was sold to Thomas Sutton. He set up the charitable foundation supporting the buildings as an almshouse and a school. Lack of funds meant the buildings fell into disrepair and much of the complex was damaged and destroyed by incendiary bombs during World War 2 although the chapel was miraculously spared. After the war most of the complex was rebuilt and the almshouse re-opened with around 40 all-male ‘Brothers’ resident under a succession of male ‘Masters’. Funds were found to add a couple of new buildings, in keeping with the original ones and the complex stayed as a largely unknown-to-the-public fascinating piece of history spanning seven and a half acres and it was recognised that although the foundation which supported the almshouse element of the complex was still more than capable of so doing, the funds being generated were insufficient to also maintain and repair the Grade 1 listed buildings, particularly once it was recognised that roof repairs and additional maintenance were required. 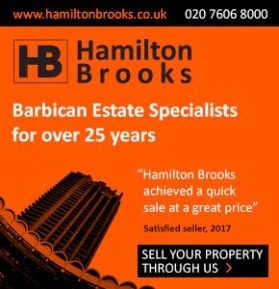 As a consequence much is now being done to raise the necessary funds and, as a consequence public access to the historic site and to Charterhouse Square is being substantially increased along with regular guided tours and other fund raising events. So, we are now entering an era of change for this venerable institution and perhaps nothing emphasises this more than the gender change in the appointment of the ‘Master’ and the latest addition to the almshouse inmates who is also a woman. Ann Kenrick is thus the first female ‘Master’ of the Charterhouse and was appointed at quite a key time for the institution which was just beginning to open up rather more to the public. 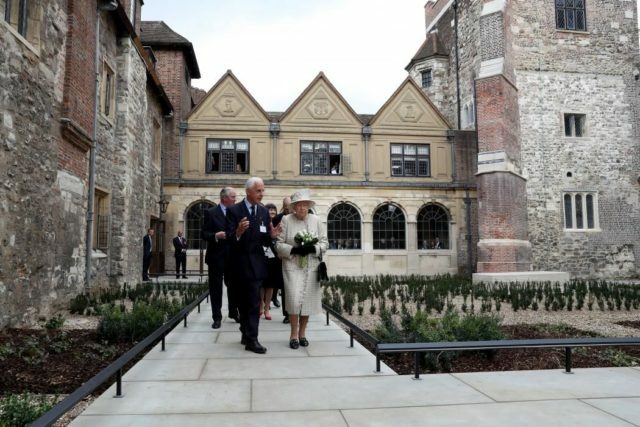 The newly appointed Master was quickly thrown in to the Royal Visit by Her Majesty the Queen and the Duke of Edinburgh on the occasion of the official opening of the Charterhouse’s new museum and learning centre early last year. The Queen and Prince Philip are Royal Governors of the Charterhouse. The Queen with the Charterhouse chairman, Sir Richard Graydon during the Royal Visit. Photo by Richard Young Photographic Ltd.
Ann’s time as Master has also seen the arrival of the first female ‘Brother’ – since the almshouse’s inception all the brothers had been males. In the event of her arrival, Enid Irving was asked to choose her own title, but she was happy to be called a ‘Brother’ alongside her other almshouse residents. With the principle established that female Brothers can be admitted Ann Kenrick suggests that once there are a few more – perhaps five or six – they will be offered the opportunity to vote on what their designation should be. In an interview with Barbican Life, the Master was asked how she saw things progressing under the new leadership. 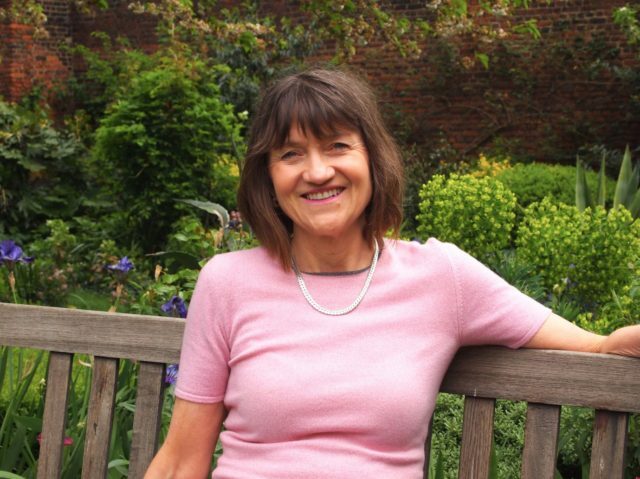 To an extent some of the changes were already in progress when she took over – the Museum and a decision to open up the complex a little more to the public as examples – but she has extended this extolling the beauty of the seven and a half acres of courtyards and gardens. She feels that they have got the balance right in providing good accommodation for the 40+ brothers while at the same time making the complex more accessible to a wider audience. Indeed Ann notes that since opening to the public, the new museum and the chapel have had over 45,000 visitors and she comments in the Charterhouse’s own magazine that it has been awarded ‘The Best Hidden Gem’ by UK Heritage Awards and the Gold Award for Small Visitor Attractions by Visit England. She puts this down to being in no small part due to the volunteers, and particularly the Brothers, whose tours have proven to be immensely popular. Ann presides over both the welfare of the Brothers – to be admitted applicants need to be over 60, in good health, single, have had a profession and impoverished – as well as the upkeep of the complex so there is some concentration on ways and means of raising funds which has included the tours of the complex, renting out the facilities for meetings, events and now weddings and there are some rented out commercial and private residences within the grounds. There is a fully staffed 11-room infirmary which also sometimes takes in outside patients who need 24 hour care and pay commercial rates for this which helps allay the costs of the facility. 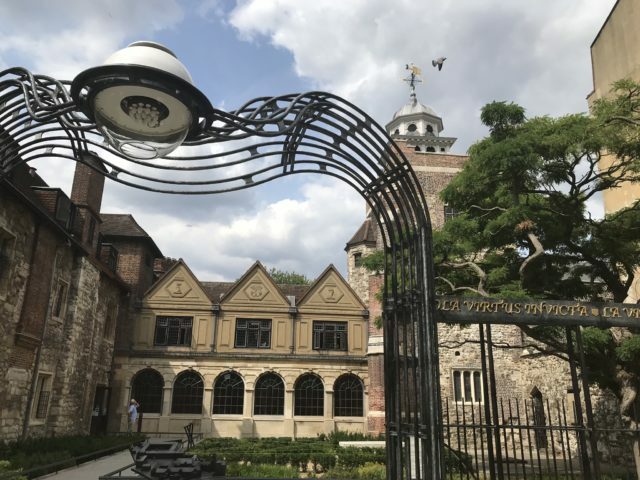 Those interested in supporting the Charterhouse may join up as Friends – there are three levels and there are some benefits which go with this status. A new benefit which is under consideration is allowing friends to rent guest rooms for occasional overnight stays although details have not been finalised yet. If you haven’t visited yet you should do so. Tuesday 13 November – Charterhouse Christmas Fair: A day of festive shopping and Christmas fun, including mulled wine, a Santa’s Grotto, Christmas carols, arts and crafts and much more. 11am to 7pm. Entry will be £3.00 (Under 12s free). Sunday 16 December – Christmas Family Tour: Special festive themed family tour? 11 – 11.45am / 12 – 12.45pm. £10 per paying adult, up to two children free (max 6 families per tour). Suitable for ages 4+.